Microgaming released two new slot games last week, Cricket Star and Golden Era. I won’t be informing about Cricket Star because that game is the same as Cool Wolf, Break Away and Football Star. I will be telling you about Golden Era because the game looks great and has a very nice free spins feature. Golden Era comes with 15 paylines and double stacked wild symbols on all reels during normal play. The game uses a Hollywood theme and offers players two different bonus features, which you can choose for yourself. Get 3, 4 or 5 scatter symbols anywhere on-screen to start the bonus. The first one is the Double Feature Bonus. Here you pick movie themes to reveal credits. You can also find a times two multiplier which will double your total winnings. If you pick a wrong movie the bonus feature ends. The second bonus is a free spins feature. 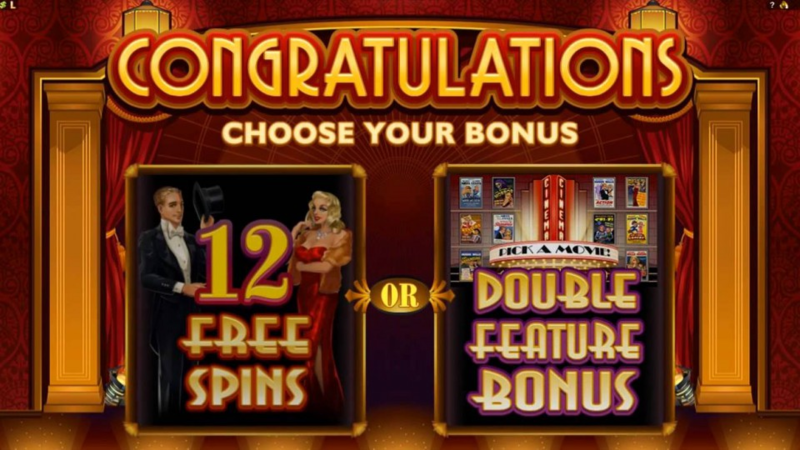 You will be awarded with 12 free spins. During these free spins reels become wild. First reel 1 and 5, second reel 2 and 4 and third reel 3, which will also multiply any win by two. This will continue for 12 spins, each time starting from the outer reels, working their way to the middle reel. This free spins feature is very nice and can give high wins. The free spins feature cannot retrigger. Both games are available at several NetEnt casinos including one of my favorites, Guts. Remember that Guts gives out a reload bonus every Monday and 60 free spins every Thursday.